Dedicated to strengthening Jewish identity and continuity by sharing the beauty and riches of timeless Jewish values in a warm, nurturing and non-judgmental environment. Since its founding, countless individuals and families have benefited from the excellent programs and activities. 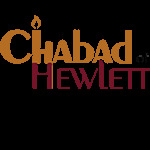 Chabad of Hewlett is a non-profit 501(c)(3) organization. Your donation is tax deductible. Joini us on March 27 for the Gala dinner, placing an ad at the Journal, buying raffle tickets or simply making a donation will enable us continue our vital work.